Leather Bags are the best utility item one can think of while deciding on the promotional gift item. The budget can be decided as per your comfort and even quantity is against order making it very flexible. The colors, size, combinations, quantities, branding can be exactly as per your requirement and within your budget. Kindly let us know the bag you have in mind, with quantity and budget so that we can show you few samples for you to select the best choice. It can be carry bag, pouch, toilet bag, overnighter, duffle bag, shoulder bag, sports bag or even trolley bags. 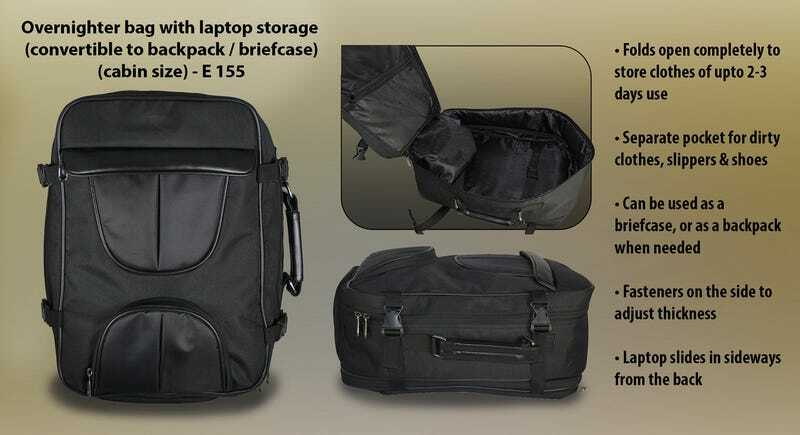 You can also select from laptop, backpack, sling bag or rucksacks. We help you increase the compartments or reduce to fit in the budget or create facilities for items you are interested in highlighting as your gift. For larger quantities we can help you give your bag branded look by adding metal or silicon tags similar to what is being used by known brands. You are getting similar features with guarantee for a much lower price as you are not using their name on your designed product.